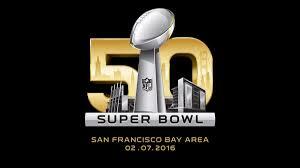 Only 39% of Super Bowl 50’s advertisers will score big on their really big investments. In this case, “scoring” refers to generating consumer behavior. In the marketplace. You know, sales. Consumer traffic. Brand profits. That kind of stuff, advertising being a business and not a hobby after all. When it comes to Super Bowl ad playbooks, brands look to score big in five ways: 1) big audiences, 2) big creative, 3) big buzz, 4) big social networking, and 5) big levels of emotional brand engagement. That last one is most important because it’s a leading-indicator of consumer behavior in the only arena that counts – the real world marketplace. Last year nearly 115 million viewers watched the Super Bowl, many for the ads alone, making it the most-watched show in U.S. history, so the need to level the ad playing field has not been lost on marketers. Every year brands start earlier to create up-front buzz sneak-previewing ads and hashtagging everything in sight. And sure, brands need to entertain if they want their ads “to trend,” but if advertisers want real ROI, entertainment alone is not enough. So our approach is a bit more precise than counting likes or interpreting MRI images. Mobile software developed to mine social data streams is overlaid with validated emotional brand engagement assessments to identify the intersection of engagement and entertainment within the context of the Super Bowl. The output allows us to calculate whether a brand’s ad will engage and entertain, entertain only, engage but not entertain, or neither engage nor entertain. Like all things “marketing,” each variable results in a different outcome for the brand. For the map of this year’s results, click here. Look, we understand that agencies and marketers hope their ads will entertain. That’s a dimension that’s easy to measure. And unquestionably advertising entertainment and social networking reviews generate lots of chatter, traditional and digital. So there you are. You managed to entertain 115 million viewers. But these days that’s not enough. Or shouldn’t be. With 30-second spots selling for $5 million plus, marketers need a new game plan when it comes to assessing advertising ROI. A laugh, a sigh, or a tweet alone isn’t really an acceptable return on budgets this big. Advertising should be judged not by entertainment ratings or social networking trend metrics alone, but how it ultimately helps the brand perform in the marketplace. Does the ad engage and build the brand’s equity? Does it drive brand share, consumer behavior, and sales? If so, you’ll score positive bottom line impact, even if the advertising wasn’t as entertaining as envisioned. A brand that can both engage and entertain is usually a Super Bowl winner.